Ginger Root Essential Oil, C02 Extracted has the spicy, peppery aroma of fresh ginger. Ginger essential oil is both fiery and fortifying. It makes a comforting massage oil, and blends well with orange for a warming bath in the winter months. These same warming properties can help to relieve muscular cramps and spasms, and ease joint stiffness and pain. Use in a diffuser or massage oil for colds and congestion. Ginger essential oil is also well known for its effectiveness against seasickness, nausea and digestive problems. Ginger essential oil is helpful when one is feeling overwhelmed and exhausted from stress. It's believed to ease anxiety, renew vitality and self-confidence. If you're trying to decide between our two ginger oils, this is the one (because of the CO2 extraction) that smells most like the actual ginger root. CO2 extraction yields a greater amount of Ginger's aromatic compounds than any other distillation process. Carbon Dioxide (or CO2) is pressurized to become a liquid. This liquid acts as a solvent and is used to extract the oil from plants. After the extraction process is complete, the extraction container is brought back to normal temperature and the CO2 quickly converts to gas, leaving behind a high quality oil that is free of solvents. 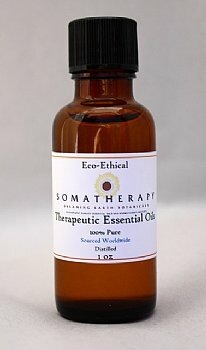 CO2 extracted essential oils may have slight gelling or clouding when oils are cold. When the product is warmed slightly the oil will become a clear liquid again.